A couple of years back people were raving about "Les Jaloux Saboteurs," the tune that opened the compilation Golden Afrique Vol. 1 (Network Medien 27677). It wasn't only that "Les Jaloux Saboteurs," which was recorded sometime in the mid-1980s, was a great song. What folks found fascinating was the fact that the musician, Maitre Gazonga, was from a country previously unheralded for its music: Chad, in central Africa. It turns out that Chad has a small but vibrant music industry, and many of its artists are showcased on the website Ialtchad.com. As you might expect from a country located in the geographical center of Africa, the musical influences run the gamut: from soukous and hip-hop to highlife, mbalax and even Ethiopian funk. Maitre Gazonga's LP Les Jaloux Saboteurs (Tangent/Celluloid TAN LP 7003) was recorded in Abidjan, apparently utilizing musicians from several African countries. Ialtchad indicates that Maitre Gazonga is Chad's best-known musician, whose popularity crosses tribal and regional boundaries. All of Les Jaloux Saboteurs, not just the title track, is great. Let's give it a listen! Great to post all the songs of this hard to get lp. "Koyesse" has always been my favourite song. Maitre Gazonga and his band Chalal have found a way to tour their country and still getting paid. Gazonga knows that people in rural communities are often poor, do not have money but still want to have a good time. So when the band tour around Chad for about 3 to 4 months and give concerts in outlying villages people can get in by paying with what they have: sorgho, rice, dried fish, chickens, beans, nuts etc. His concerts turn out to be a great succes. While the band goes from village to village 2 trucks drive back and forth to the capital N'Djaména. Most of the products are sold at the market, the money in turn is for the musicians, another part of the food is handed over directly to the families of the musicians to keep them going. From the profit they make they can rehearse for the rest of the year and compose new music. Chadien singer and bandleader Hamed Gazonga died on the first of April 2006, apparently of heart failure. Born on the 27the of May 1948 as Ahamat Salet Rougalta, Hamed studied in Fort Lamy, now Djamena, and later worked as a bookkeeper. When he was 21 he decided to become a musician and together with several others he created orchestre Saltanat Africa but before long he left them and formed his own band l'International Chalal. Hamed drew his inspiration from the folk music of all the regions in Chad. 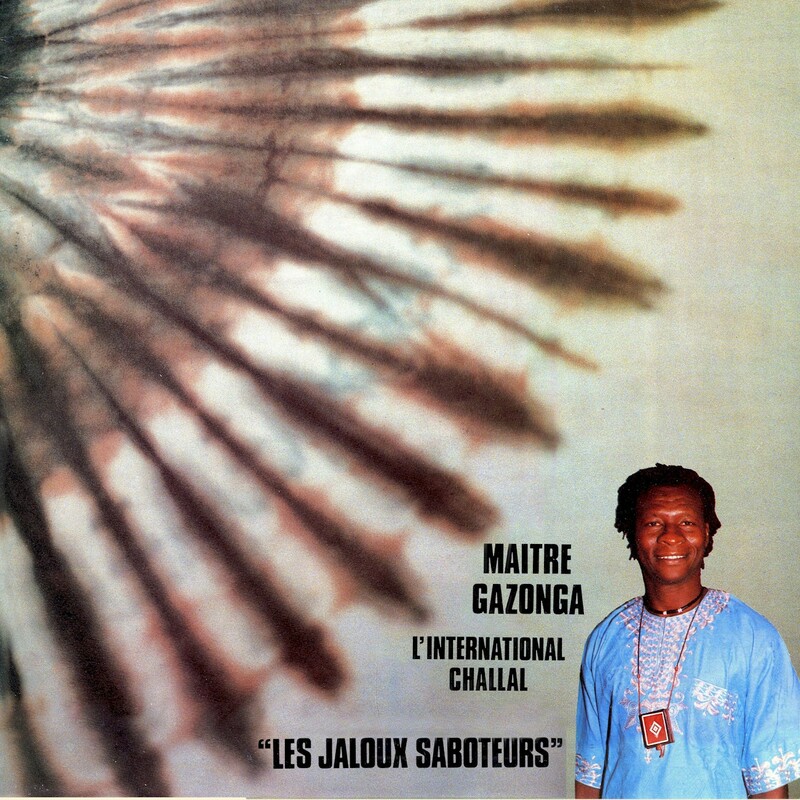 Maitre Gazonga produced one of my all time favourite albums, Les Jaloux Saboteurs, it was recorded in the JBZ studio in Abidjan around 1984 and it is a feast from beginning to end. All the songs feature great guitar playing and nice horn work to. During the song "Koysse," Hamed says at the beginning of the sebene “Les amis, c’est pas le temps de dormir, allez tout le monde debout” and off the band goes again playing a very wild sebene. His latest album was released last year and unfortunately not released anywhere in the West. Hamed leaves a wife and 6 children.